A Swedish online “social justice” group comprised of lawyers, former police officers, and other professionals are said to be behind the rise of prosecutions against Swedes for “hate speech” on social media platforms. 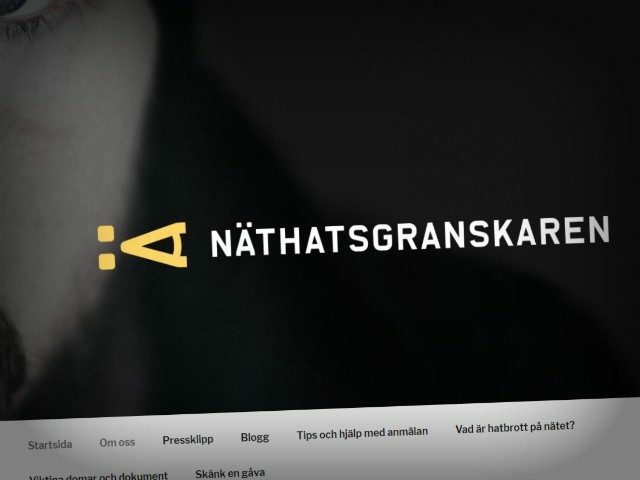 The group, which calls itself Näthatsgranskaren, Swedish for “Network Examiner,” gathers data on social media posts deemed to be breaking Sweden’s hate speech laws and reports them to police. Since the group began their actions a year ago, 77 hate speech cases have been brought against Swedish residents, broadcaster SVT reports. So far, the group has identified 800 or so “hate posts” which they have reported to authorities, though of these only 13 per cent have been acted upon. “We have developed a programme that searches for criminal networks on social media by searching for keywords, combinations of words, and phrases that can constitute criminal acts,” said the group’s project manager Tomas Åberg. Åberg also said that the organisation was shocked to find out that many of the people they were reporting to police turned out to be women over the age of 65. “We were surprised to see ladies over the age of 65 write very, very rough things on Facebook,” he said. Several pensioners in Sweden have been tried for hate speech in recent years. A 70-year-old woman in Dalarna was prosecuted last year for comments she had made online in 2015 when she alleged that migrants “set fire to cars, and urinate and defecate on the streets”. Two months ago, the organisation started to receive not only cash donations from supporters but money from the European Union as well to carry out their operations. Åberg said his group was particularly focused on the upcoming Swedish national election later this year saying he had already seen “hate against journalists and especially politicians”.